10:52am PT Chemical Incident Update: Three alarms now assigned to this defensive fire. IC has warned all personnel of potential impending collapse of one wall, according to Huntington Beach Fire Department. 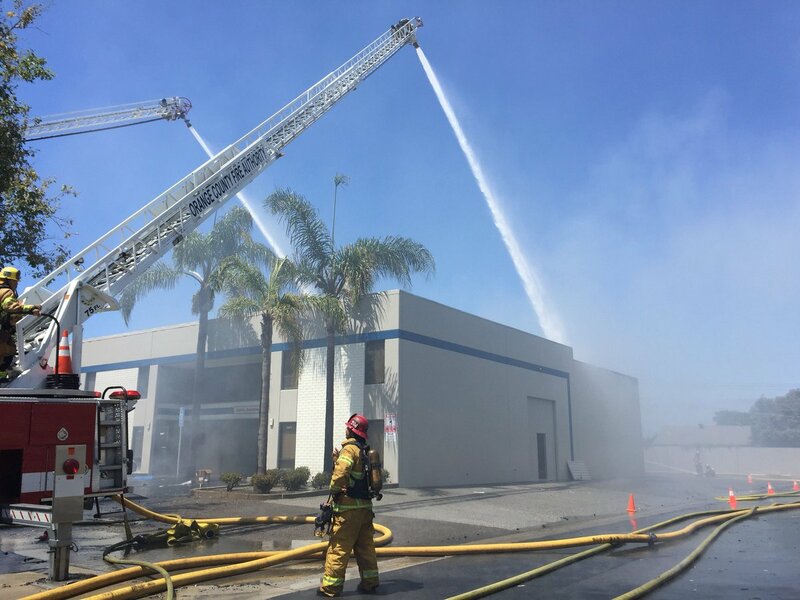 BREAKING NEWS: Huntington Beach, California - Firefighters from area departments are battling 15675 Chemical Ln 3-alarm commercial structure fire on Wednesday, June 27th, 2018 in Huntington Beach, California.